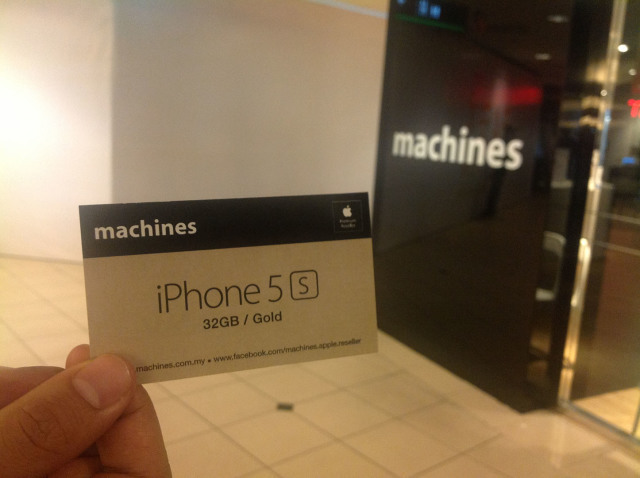 In my previous post, I wrote about booking a gold iPhone 5S 16GB from Maxis. This is not my preferred one in terms of storage size, but this is the only available gold option at the time that I made my booking. But at the same time, there was this news from Machines that they also will have iPhone 5S available for outright purchase starting 31st October as well. 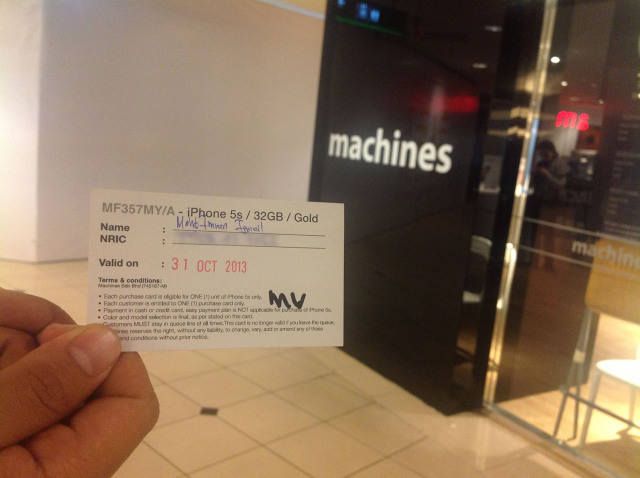 So my friend, who didn’t get the invitation email from Maxis is determined to get the gold one from Machines. I then have this crazy idea too. 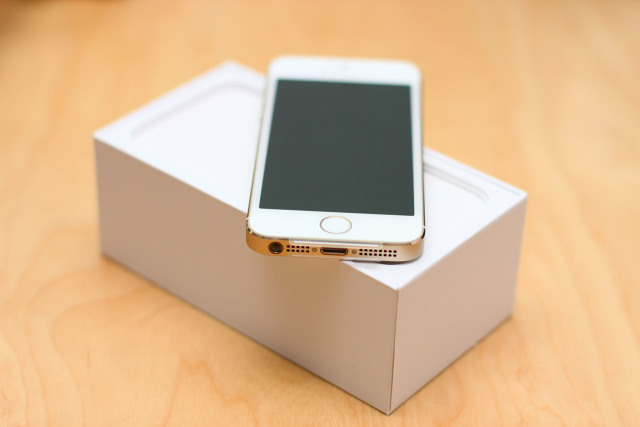 I’ve been tied with iValue 1 plan since my first iPhone – which was in March 2009. And with the release of the new model of iPhone, I keep extending the contract for the plan. So I’m thinking of not going to continue my iValue plan, and thinking of not tied to any plan at all. I heard that there is this plan that doesn’t have contract with with large data quota. I don’t use much talktime from my iValue plan too (I’m not very talkative person). And most of my friends are either in iMessage or WhatsApp, so I don’t need free SMS from iValue too. So I decided not to take the Maxis iPhone this time, want for my current contract to mature on this coming December 13, and I will switch my plan. But that means, I have to be in the queue again for this. 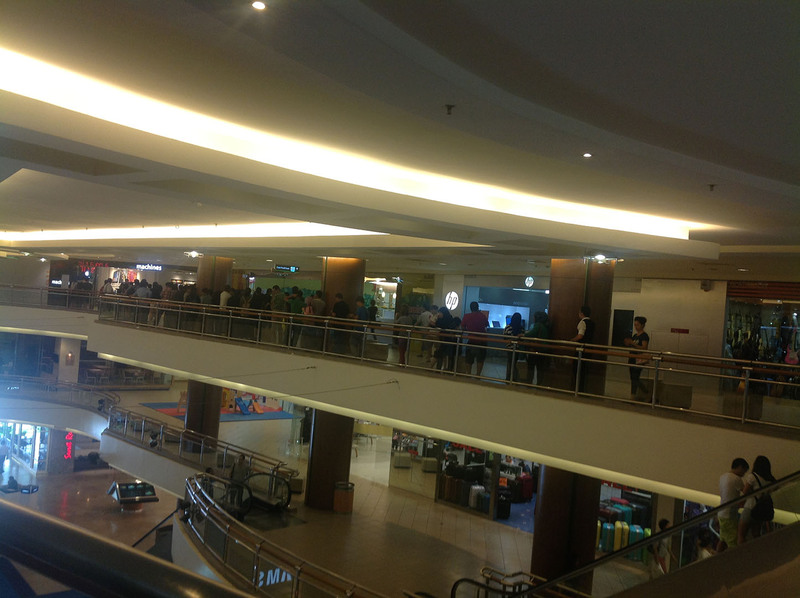 Since Machines is just down below my office, It will be easier for me to check if the queue has formed. 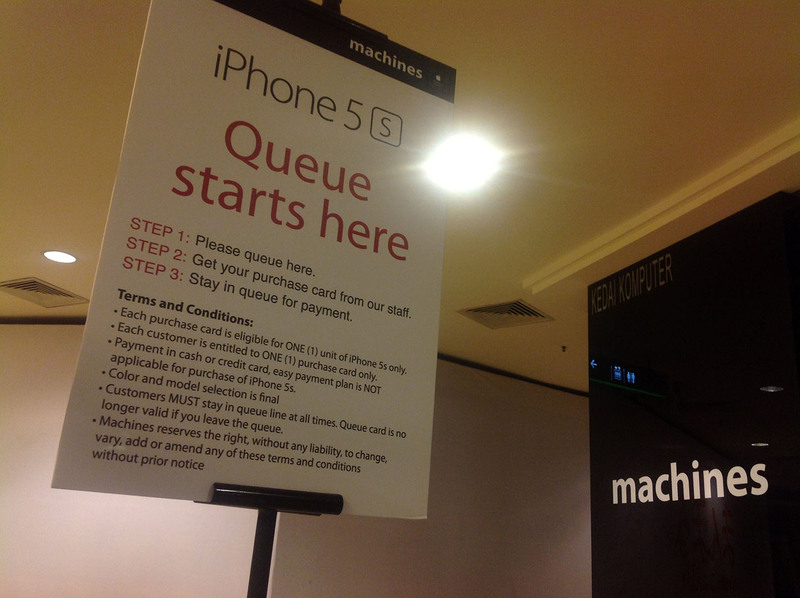 As of 8:30pm, there is no queue yet in front of Machines. And here I am, I started to join the queue as well at 6:30am. 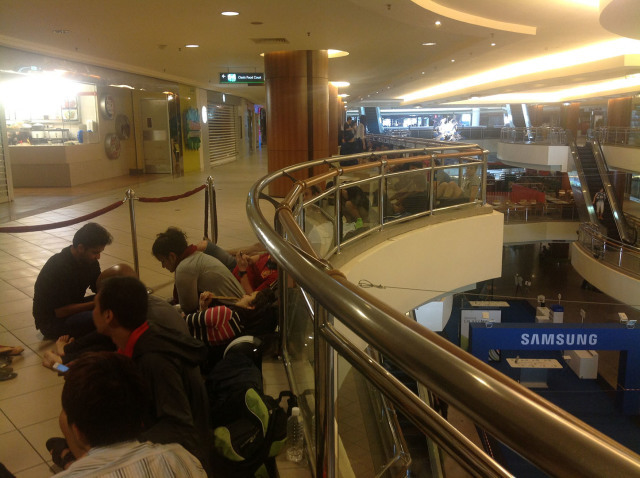 I must thanked my friend a lot for this since he started to be in queue since 9:30pm last night (where he is first in line) and booked a spot to me. According to him, there are already 2 people behind him that time, and majority of the people started coming in at 3am onwards. 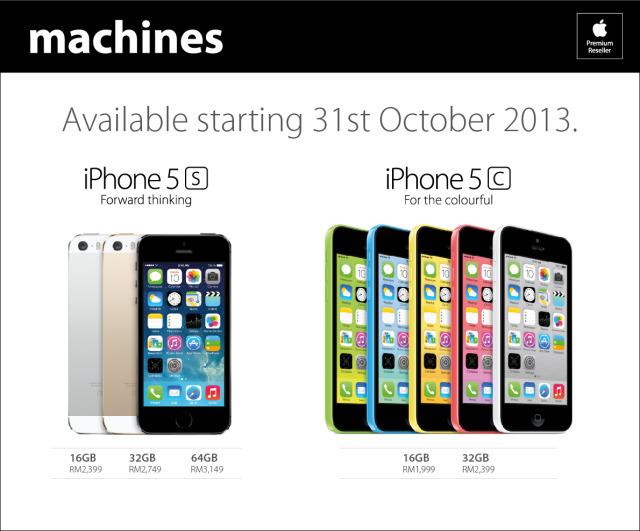 Since the announcement that iPhone 5S will be available, Machines has produced a page about iPhone 5S availability. 64GB Gold version is not available anywhere except KLCC branch. 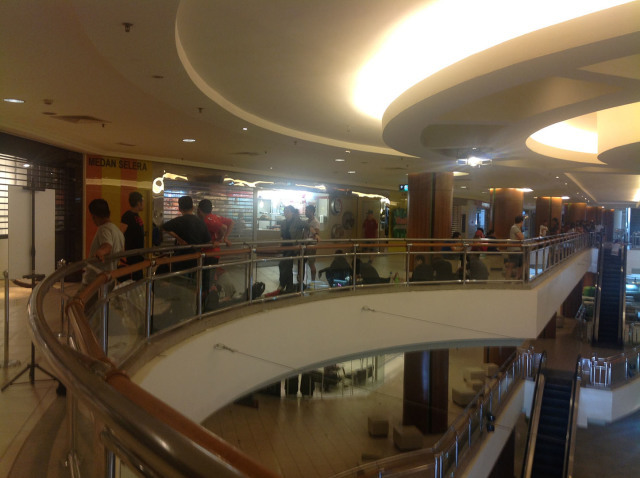 But I guess most of the people will be queuing there, so I’m ok to settle down with 32GB Gold this time, and Mid Valley seems to be the most convenient place to queue for me. This is the availability of iPhone 5S models at Machines Mid Valley before they start selling it at 10am today. I can feel the tension inside the queue where people are chatting away about whether they managed to get gold one or not. 8:48am. More and more people join the queue. 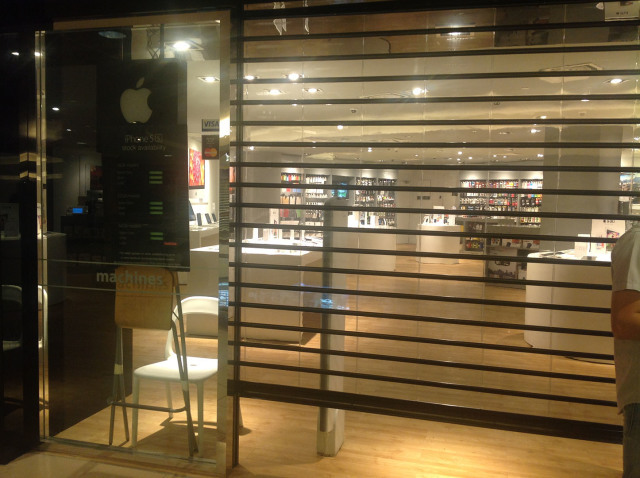 Just about 1 hour and 12 mins more before the store is opened. Seriously? 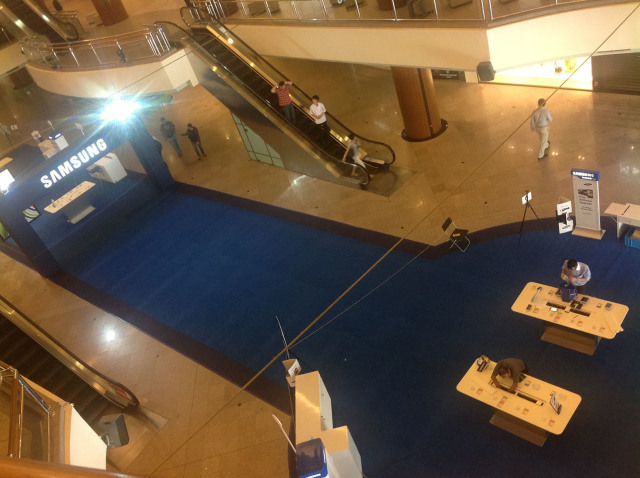 On the day that iPhone 5S and iPhone 5C are launching, they are busy doing the roadshow as well. At 8:51am, Machines staff has arrived and the store lights are switched on. From afar, I can already see iPhone 5S and iPhone 5C are already on display. At 9:40am, purchase cards are distributed. Yes. 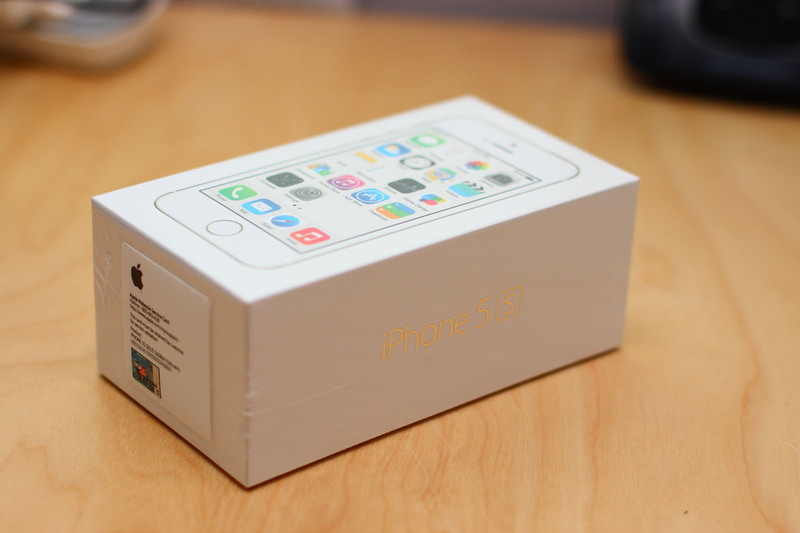 I managed to secure a 32GB gold iPhone 5S. From what I see with the cards that they are holding, there are not much gold models available. The store is opened at 10am sharped, and I can see people are getting restless waiting for their turn. Being second in the line, I’m amongst the first one to be at the payment counter. 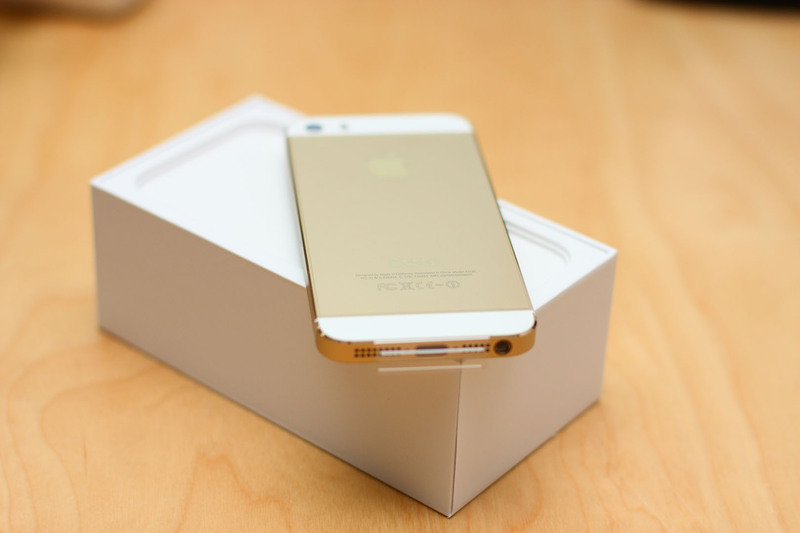 15 mins later, I’m walking out the store with a brand new iPhone 5S 64GB Gold in my hand. Outside, the queue is still long. I need to head home immediately for my routine photo taking during the unboxing. My DSLR will take over from here. So this is the iPhone that I just bought. And it’s in gold baby. 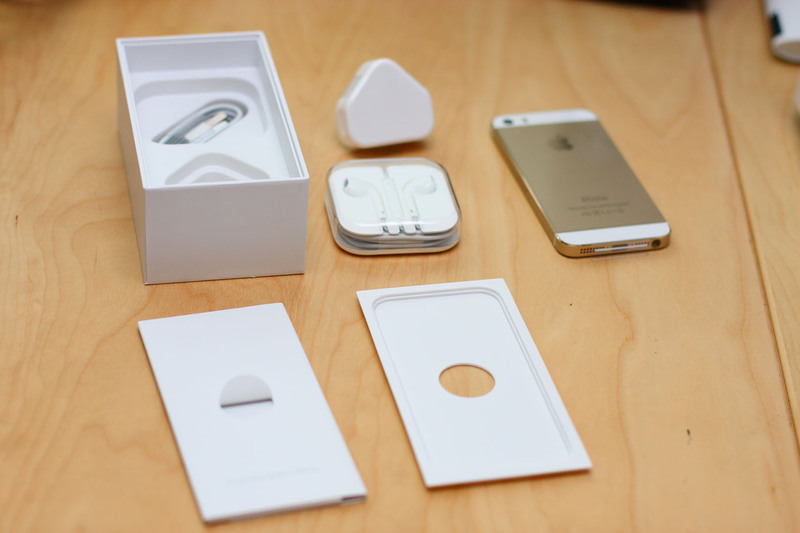 The usual stuffs are in the box – iPhone itself, earPod, USB lightning cable, charger and some documentations. Then I’m heading back to Mid Valley to buy a new casing for my iPhone. I’m getting the same model as what I got for my iPhone 5 last time, since this is the one that I see having a very low profile that it doesn’t add bulk to the phone. And the transparent will be perfect to show the gold tint of my iPhone. 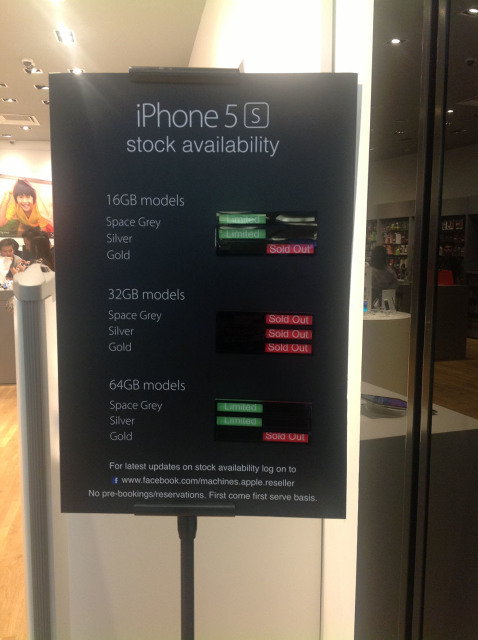 At the time I finished up with my casing purchase, a quick look outside at 12:36pm shows that 32GB models are sold out. 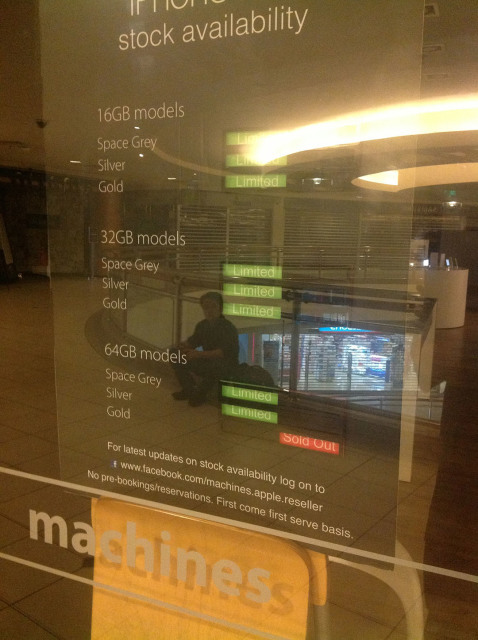 And from the Machines update at 5:30pm today, it shows that all models are practically sold out. Phew. 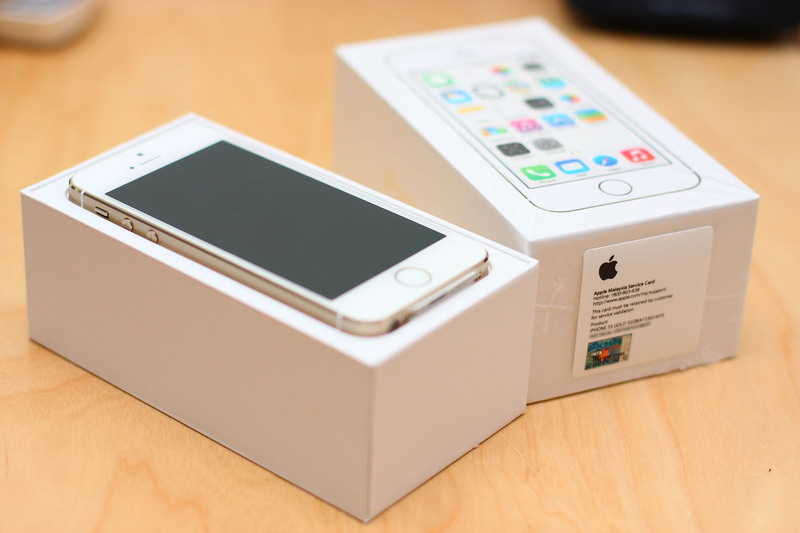 So there’s another chapter of my iPhone tales this time featuring iPhone 5S. I’m off for now to enjoy my new iPhone 5S.